What better view to test out some new Chameleon blending pens than that from Inverleith Park across Edinburgh. Recently I pedalled along to Inverlieth Park in the north of Edinburgh to try out some new colour pens. I had been asked to create a wee workshop or step by step guide to using the new blending pens which use alcohol based ink and a mixing chamber of toner to blend the markers colour as you draw. They take a bit of getting used to but can achieve amazing results. Basically you start drawing with an almost a white shade of your chosen hue and then over a few seconds the pen turns darker and a more true colour is achieved. See the link below at Cut Out + Keep for my full tutorial and step by step guide to using the pens. 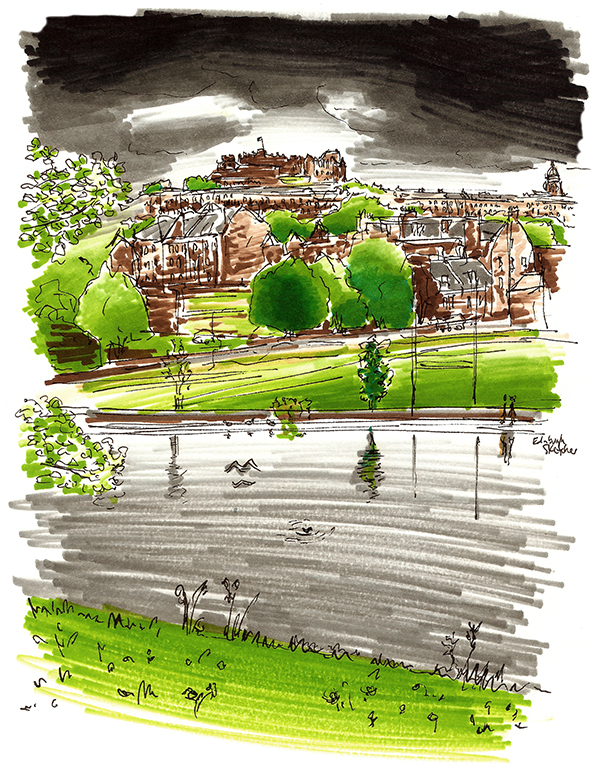 @edinsketcher STUNNING. What amazing pens.